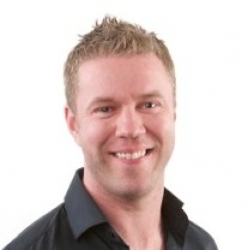 Dr Rory McEnhill is a experienced implantologist offering a full range of implant solutions. As part of his extensive postgraduate training he has completed a Diploma and a Masters degree in Restorative Dentistry. Dr McEnhill has been recognised as the ‘best dentist under 35 in Northern Ireland’ at the UK Dentistry awards in 2010 and 2013. In addition, Rory has been shortlisted and highly commended at the UK Aesthetic Dentistry awards in 2013 and 2014. For patients enquiring about implant treatment via this website, Dr Rory McEnhill offers a free preliminary consultation. This appointment does not include a clinical examination and it only takes 15 minutes. Please use the button in the right hand column to request an appointment. Once you have decided in principle that you want implant treatment, the next step is a clinical consultation. This includes a comprehensive oral examination and production of a fully-costed individual plan for your treatment. There is no fee for the clinical assessment and treatment plan or for any X-rays or CT scans that may be required. We accept referrals for all types of cases related to implants. Our practice accepts referrals for complete treatment or surgical treatment only, allowing the GDP to restore, with our guidance if required. The patient will be returned to the referring practice at the end of treatment. General dental practitioners are encouraged to undertake the restoration phase of the implant treatment for their own patients in straightforward referred cases. We also offer support to any practitioners wishing to restore dental implants or start placing their own. Rory routinely holds implant referral evenings for GDPs, with a view to allowing them the option of bringing implants into their practice. Blue Sky Dentistry is a beautiful, patient-focused dental clinic with award winning dentists. We offer simple and advanced dental implant solutions, with an emphasis on high end aesthetic results.